Hitting the gym after a buffet? Getting fat is now synonymous to buffets but no worries coz I have an alternative. 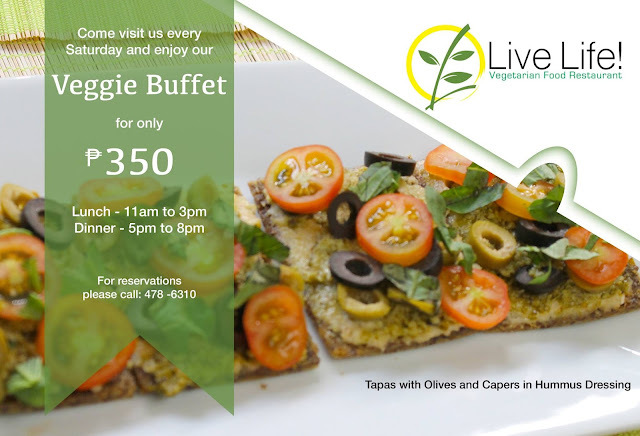 Try a Veggie buffet, it is healthy and delicious! Live Life is the answer to your problem. 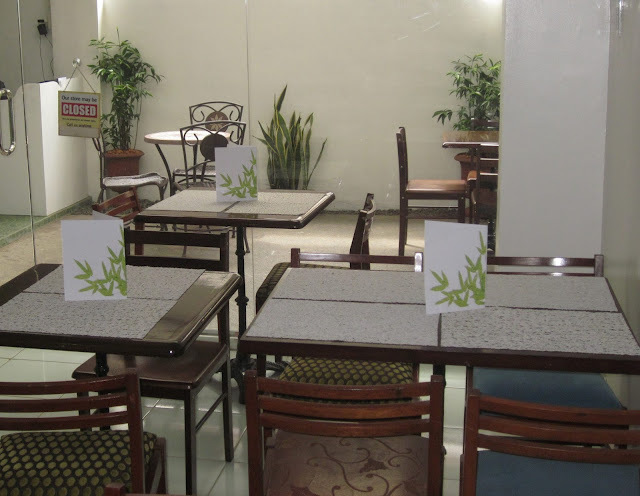 It is located along Chino Roces in front of La Fuerza building in Makati. 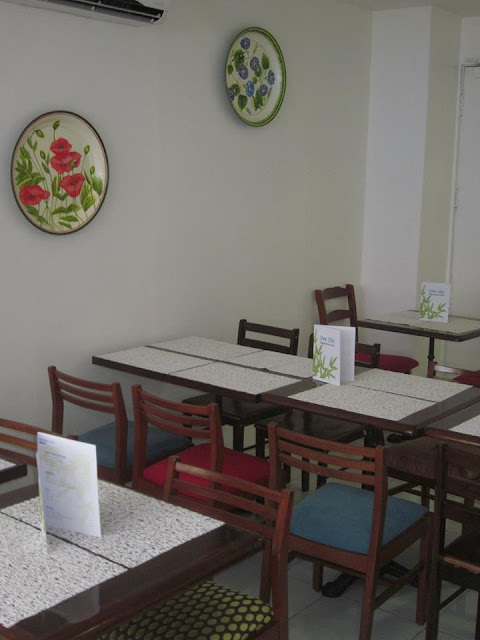 The place is neat, not too small and not too big. It makes you feel relaxed. Frequented not just by adults who are concerned about their health but also by people of all ages. I can't forget my encounter with this word-of-mouth famous Lumpiang sariwa. Fresh vegetables makes all the difference. Crunchy, tasty and satisfying. I took home another piece! 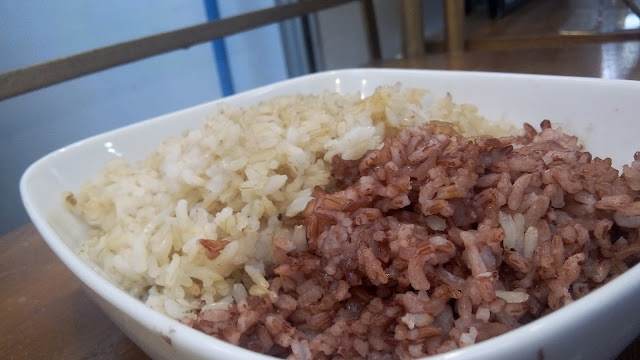 Brown and Red rice. 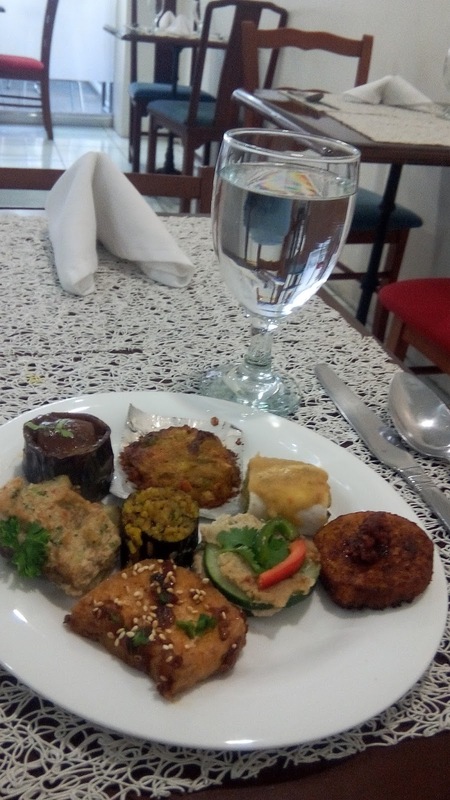 As a wise consumer, I do not eat rice on a buffet so as not to feel full quickly hahaha! Some of the food on my plate look like meat. I had three plates, by the way. Pasta isn't made of flour and Garlic bread does not have butter on it. Not to forget that Kare-kare without bagoong still tastes great. You won't notice the difference. Live life serves no meat, no dairy and no fish in the menu. 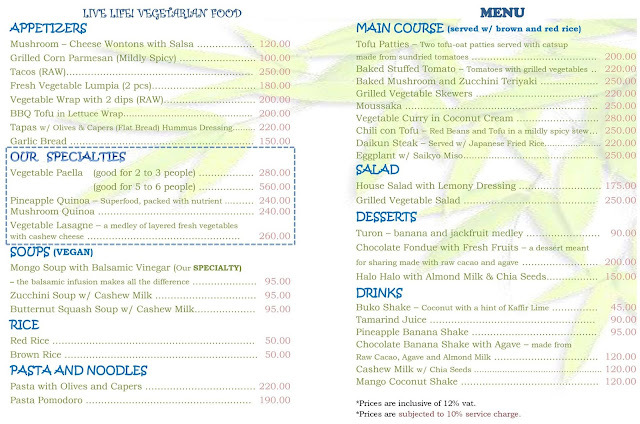 Absolutely nothing in the menu comes from animals. Not in the buffet are Halo-halo and Buko shake but I got to try it because I'm a lucky, lucky individual. My craving for sweets was satisfied! 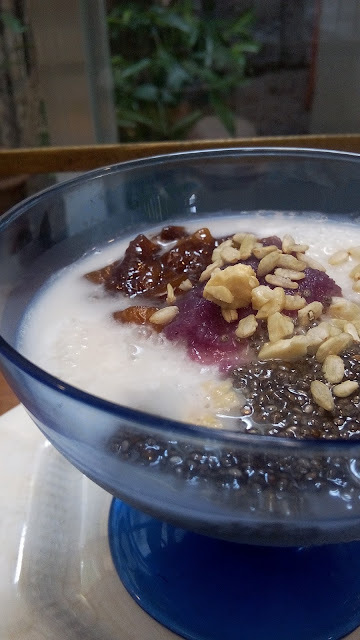 Halo-halo includes Chia seeds and Almond milk plus the usual ingredients: Langka and Ube among other ingredients. Buko shake, on the other hand, is my favorite refreshment. It has a hint of Kaffir Lime. 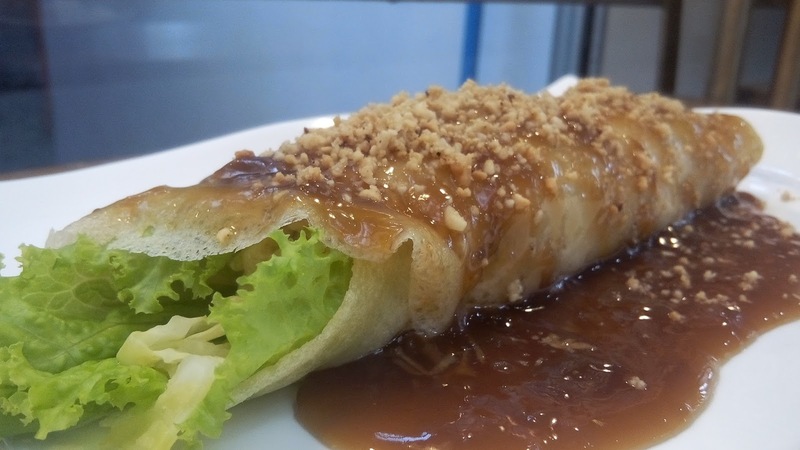 Turon is sweetened naturally by Langka and Agave. 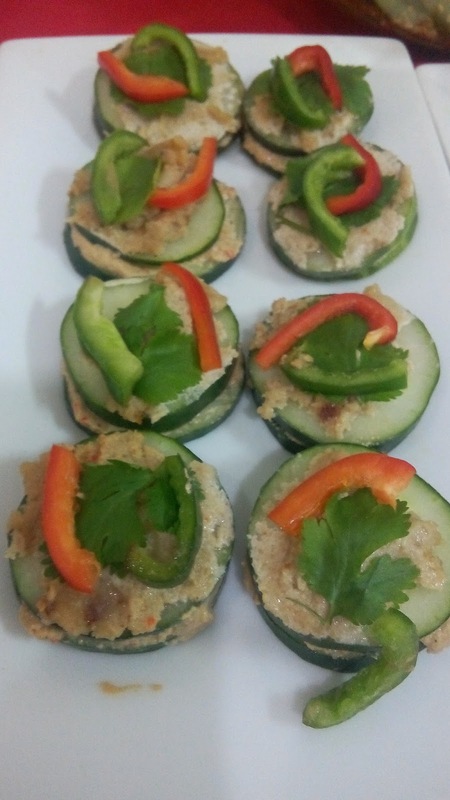 I am a veggie lover and I felt awesome eating what I love, not to mention that it all tastes great. Lumpiang sariwa and Halo-halo was my favorite. When was the last time you did not feel guilty after an eat-all-you-can?